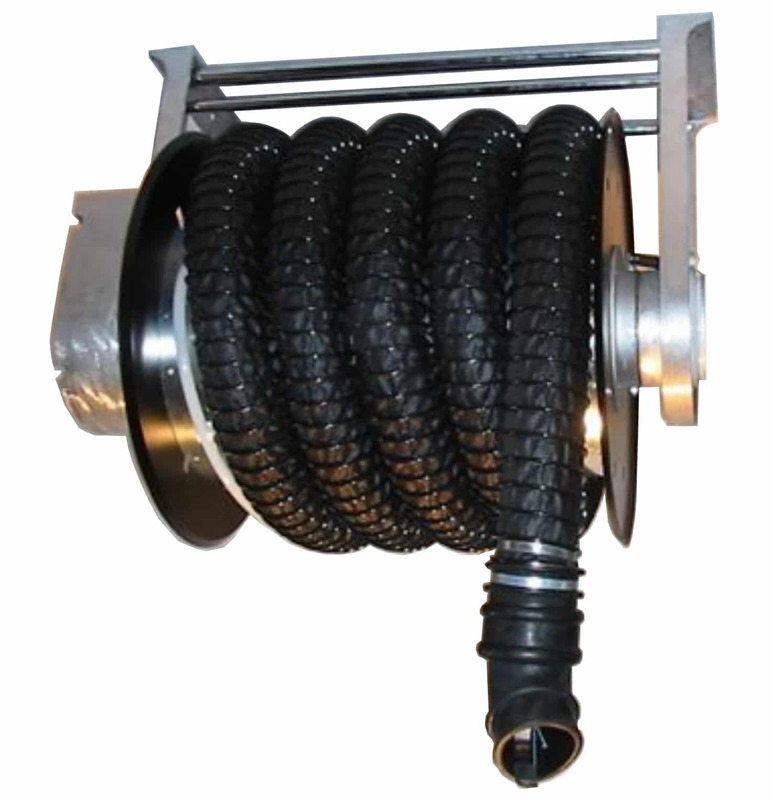 The hose reel types SAR-F and SARV-F are rolled up manually with a spring drive. The installation height of the hose feed should be between 4.00 and 5.00 m. The nozzle should be attached at an attainable height between 2 – 2.20 m and fixed once via the hose stop. If required, the hose will be pulled down with the nozzle and placed on the exhaust pipe. The hose reel may latch approximately every 40 cm. With this type the ventilator is turned on and off manually. An automatic Start-Stop version for the ventilator is available as an assecory. It will be switched on and off at the start of uncoiling or toward the end of uncoiling.